Every time I cook turkey, I go through the process of saving the carcass, adding aromatics and making a huge container of turkey stock. Sometime, usually around July, I find it in the freezer and trow it away. This year was no different. I made a about two quarts of turkey broth and there it sat in the refrigerator, doomed to end up lost in the freezer. Then, I got an e-mail from Saveur with a list of recipes and I saw one for Turkey Soup so I clicked and immediately closed it. This soup called for dumping in the stuffing and that sounded AWFUL. So I went home with every intention of making a nice soup and skillet of cornbread and then I looked in the refrigerator. What difference would it be if I made corn bread for the soup or threw in the cornbread dressing? I took out the broth and skimmed the fat. I heated the soup tureen, added a nob of butter and sauteed some chopped onion and celery. I threw in a handful of frozen carrots as I had no fresh ones. I dumped in the turkey stock with bits of turkey. I chopped up some more turkey, added that along with the rest of the cornbread dressing. In the last few seconds I added some frozen peas. It was wonderful. I believe it was better than the turkey dinner. 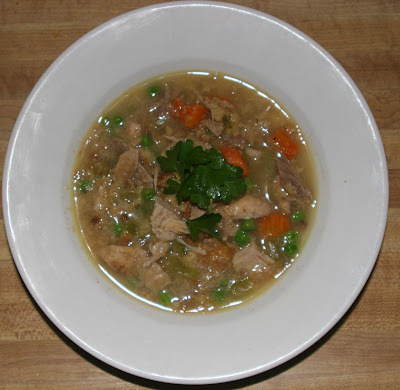 I want to make turkey again just to make this soup. What a great way to eliminate leftovers expeditiously. I wouldn't add the cranberries or the pumpkin pie, but almost any veggie side would work as would mashed potatoes. Give it a try with your leftovers. 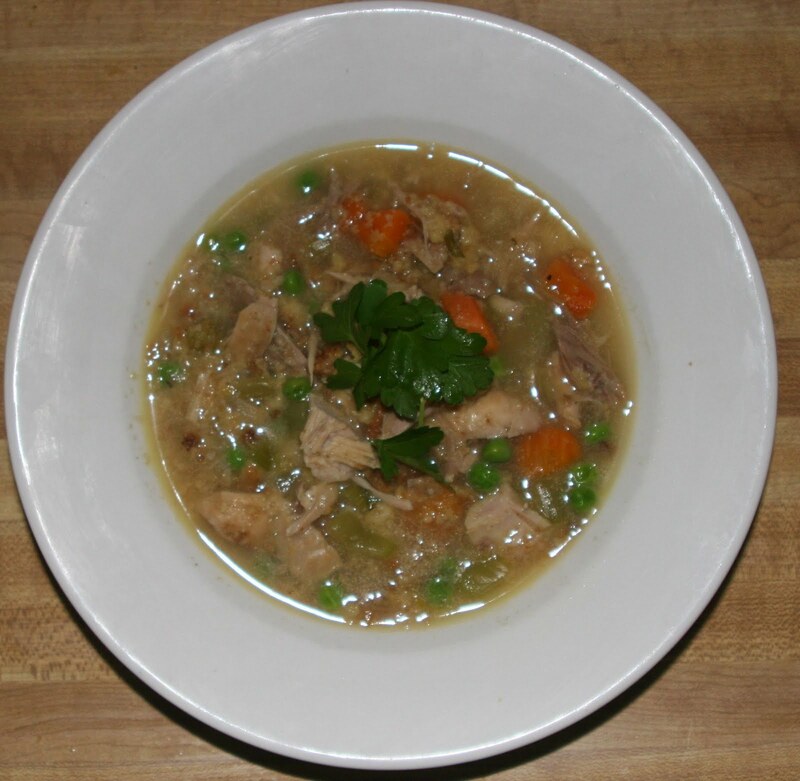 Thank you for your great idea for perfecting Turkey soup. I am not a good soup maker & I love it. Wanting to send you some holiday cheer!! to be stranded in Boston, and I was soo sick.